Hi everyone! 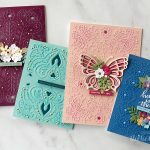 This is Debi Adams and I am guest blogging this week on the Spellbinders’ Blog. I am always happy to post here as I have so many ideas and neither enough time or opportunities to create, believe it or not! 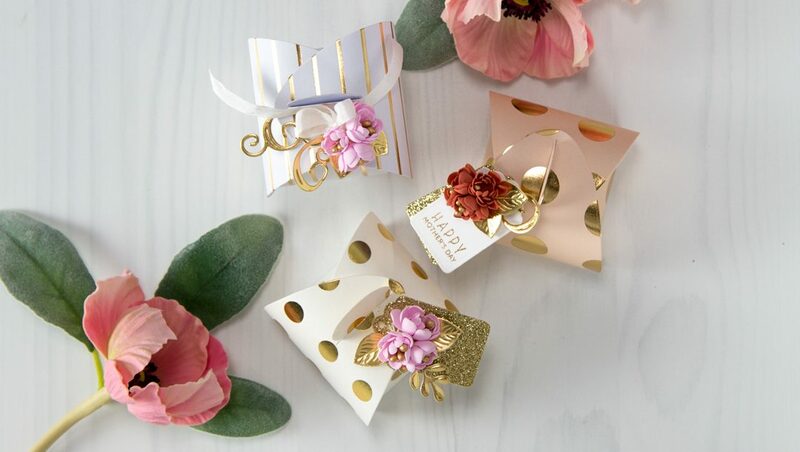 As many of you know, I have a line of dies called “Quite Contrary” at Spellbinders that include shapes for making many kinds of paper flowers. 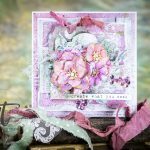 I have had a few tutorials featured in the past but I have yet to showcase the Hydrangea die. 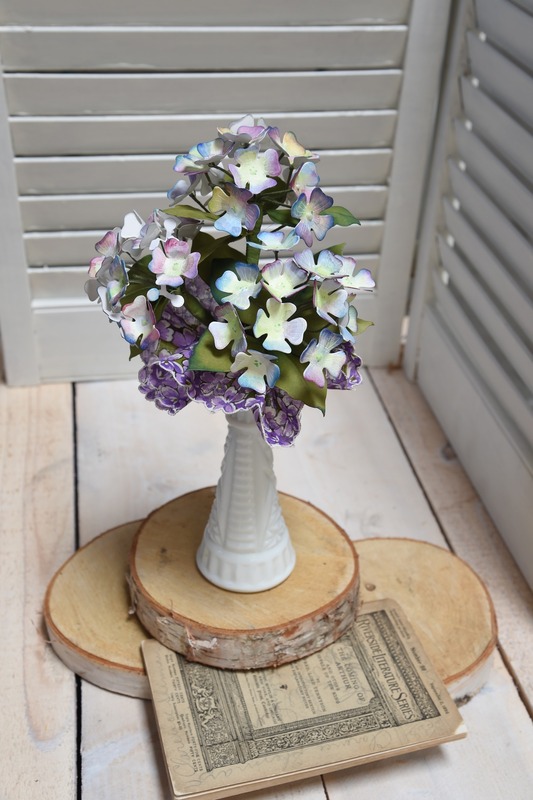 Although there are many flowers that actually comprise a hydrangea, they are really easy to recreate. I am giving you step-by-step instructions today so that you will see how nicely they come together. One can pretty much use any type of paper, but I have chosen mixed-media because I wanted to apply watercolor to it. Regular paper is not recommended if using watercolors because it causes the paper to buckle. 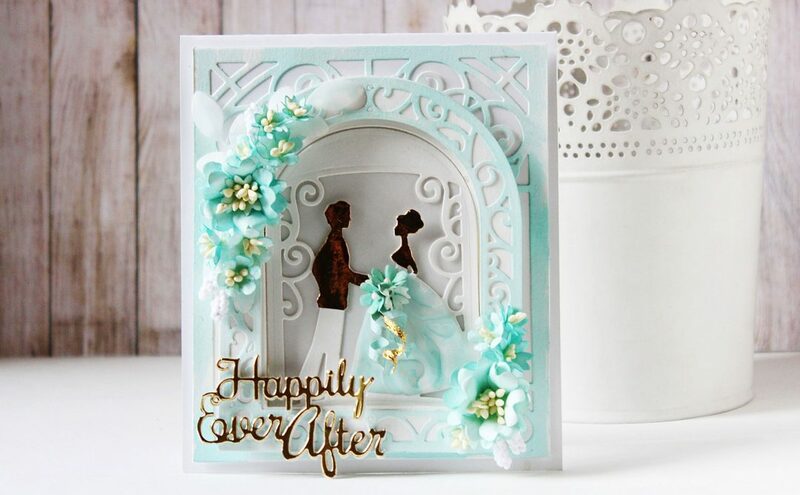 However, application of distress and water-based inks are perfect for card stock, as well as mixed-media paper. With that said, let’s get started! First, I cut several lengths of 22-24 gauge, covered floral wire into varying lengths, ranging from 2” to 4”. A good number of stems to have would be 12 but you can include up to 22 pieces depending on how full you want your hydrangea to be. Next insert the 18 gauge floral wire into the bundle, but maintain its length. 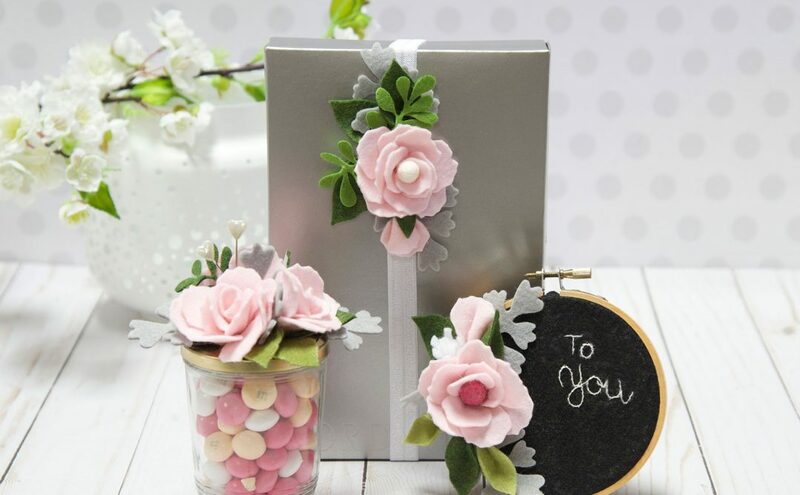 Once the thicker wire is inserted into the grouping, wrap floral tape around the base of the smaller stems, twisting and tying them into the larger wire. 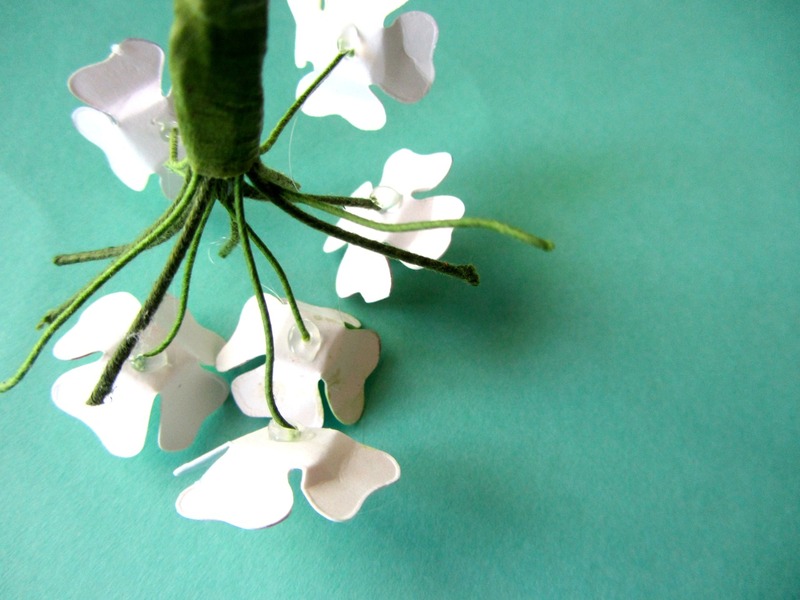 To secure the stems really well, you may want to add a tad bit of glue to the center. Trim some of the top wires so they are uneven in height, if they aren’t already that way. 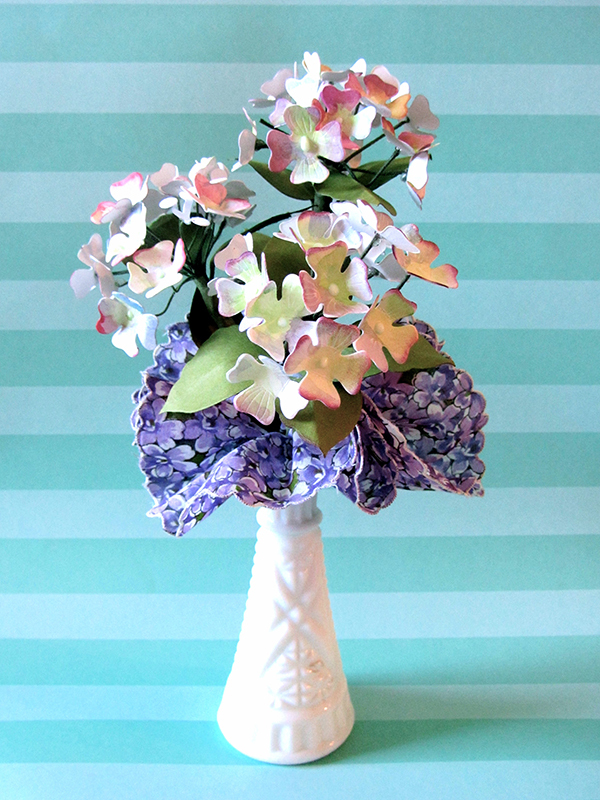 Now die-cut your paper using the Hydrangea die. Because this is a steel rule die, you can cut five piece of paper at a time! This will save a lot of time :). You will need to cut as many florets as there are tiny stems. (Isn’t it nice to have a die do the cutting instead of you having to hand-cut each one?) If you have 12 stems then you will need 12 florets, etc. Now I chose to watercolor my pieces but you can use markers, colored pencils or even distress ink. The choice is yours. 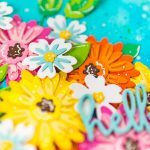 When I was finished, I added stroke marks onto my petals with a white gelly pen. You do not have to do this step. I just liked the look. I then bent the petals up and out. To attach the florets to the floral wire, put a bit of hot glue onto the floral wire. Let it cool for a few seconds then attach the back of the flower to the wire. Continue adding all florets in that fashion. If you cut out the tri-circle die pieces, you can place these randomly on the wire tips in the same way. Oh, and looking at this pic, you may want to paint the backside too. Though it doesn’t generally show, it might look finished and I’m all about that, especially if it’s a gift! When you have completed your flower, you are ready to die-cut your leaves. This time I used green card stock. Remember, you can cut all of them out at the same time. I say no more than 5 pieces for the cleanest cut though. Again, I water-colored the leaves but in a darker shade of green. I did not mind if this paper got a little warped as this made them look more natural. 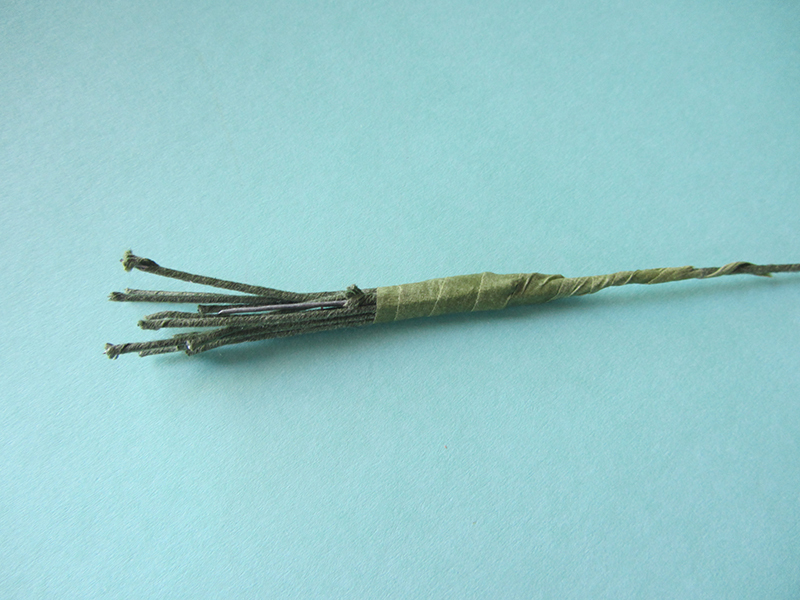 When dry, adhere thin wire to the back of the leaves using glue or hot glue. Attach to base of flowers when the glue is dry with floral tape. Finally, I gently splattered my flowers with a bit of paint using a toothbrush and watercolor paint. The centers are created by using dimensional paint. You could also use half pearls. Allow to dry and your flower is complete! How was that? Were you able to do them? I think I could make these for hours on end. Although they do take some time, I really enjoy the whole process. How about you? And in case you were wondering, these are the same flowers on my packaging except I used mixed media paper instead of tissue paper and crepe paper. You get to choose what look you like! I am happy you could join me today. Hope to see you back here soon!